Market Your Online Business Offline – For Maximum Exposure – 5 Day Crash Course is the take action guide you need to make your offline business fly FAST. Inside you will learn top secret strategies to help you first understand your market and then how to communicate effectively with them. It’s not rocket science here. Just learn the tactical information you need in your brain to succeed with your offline business, and then apply! This book takes you through the process step by step so you fully understand what needs to be done and why. And from there all you need to do is apply and make your business boom! 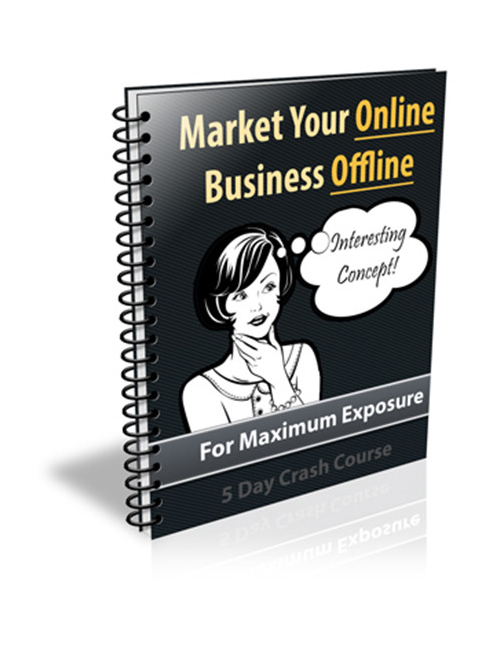 Market Your Online Business Offline – For Maximum Exposure – 5 Day Crash Course is the guide for you. Grab it and get successful!